Ashwagandha is a traditional Ayurvedic herb that practitioners recommend for stress relief and for a tired and exhausted nervous system. It is valuable as a rejuvenating herb and can help restore strength when recovering from a long term illness. 100% pure, biodynamically grown, organic Ashwagandha (Withania Somnifera), veg cellulose capsule. Below are reviews of Fushi Organic Ashwagandha - 60 Capsules by bodykind customers. If you have tried this product we'd love to hear what you think so please leave a review. High quality Aswaghandha,It help reduce stress and anxiety. 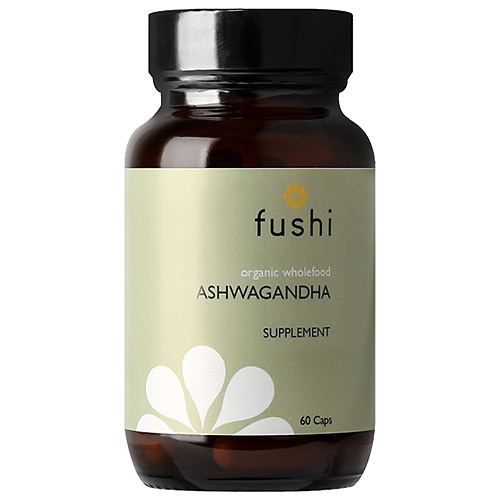 Definitely has many benefits, Fushi Organic Ashwagandha is a very good brand. Really like this as I changed from another ashwagandha to this one and will stay with it. Although the Ashwagandha truly calmed me down, unfortunately i was one of a one in a thousand that it caused stomach problems for. Please don't let this put you off, it's a marvellous supplement and I recommend it, as it does work. I love this stuff, wonderfully calming. I've had a tense year, mum lived four hours away from us and was seriously ill in April & May, which put our lives on hold, she died in May & spouse was an executer. After she'd died we never seemed to have time for our lives, the normal day to day stuff like keeping on top of the gardening. Then a couple of minor disasters happening in the house and I felt myself falling apart. A friend in a similar situation recommended Ashwagandha, it worked from the off, I've even halved my prescription anti anxiety medication, and it's seeing me through Christmas, a time when I'm usually stressed to the eyeballs.